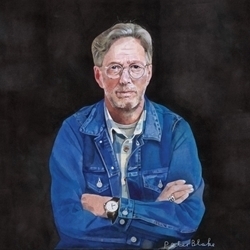 "This was a long and overdue opportunity to work with Glyn Johns again, and also, incidentally, the fortieth anniversary of Slowhand," says Eric Clapton. The album's artwork – a carefully crafted illustration of Clapton – is the work of esteemed artist Sir Peter Blake, whose previous art includes the co-design of The Beatles' Sgt. Pepper's Lonely Hearts Club Band album sleeve as well as the Band Aid single "Do They Know It's Christmas?," Paul Weller's Stanley Road, and The Who's Face Dances. I Still Do features Blake's signature at the bottom right corner of the cover. Exceptional analog sound! I Still Do, music legend Eric Clapton's 23rd studio album, was created using processes and care for the best-sounding vinyl that could be made. The album was recorded on a 16-track machine on 2" tape, then mixed down to 1/4" tape, with loving care applied at every step. Acclaimed mastering engineer Bob Ludwig assembled and edited the stack of reels of master takes onto a compiled A and a B-side reel with the correct gaps between the songs. From these he made 192kHz digital eq files for digital media. Ludwig shipped the original analog masters to Bernie, who cut lacquers from scratch.